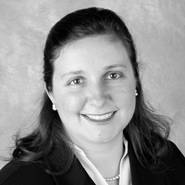 Dinsmore & Shohl LLP’s April L. Besl has been named to the Cincinnati USA Regional Chamber's WE Lead program. WE Lead is a 10-month leadership program geared toward women on established career paths. The program enhances professional growth and development to promote exceptional success. Besl began working for Dinsmore in its intellectual property law department in November 2009, becoming a partner in January 2016. She counsels clients on non-patent intellectual property matters, including trademarks, copyrights, social media, Internet law, advertising and trade secrets. She services a large and diverse portfolio of trademarks and copyrights, domestic and worldwide, for a variety of clients ranging from Fortune 100 companies to individual entrepreneurs. Besl frequently appears in federal court and before the Trademark Trial and Appeal Board to defend clients’ non-patent intellectual property rights. She has successfully resolved cases in favor of her clients including in multi-million dollar intellectual property trademark disputes, Digital Millennium Copyright Act disputes, copyright ownership disputes, and licensing disputes. Besl served as the president of CincyIP, an organization of intellectual property professionals from around the region, for an unprecedented five year term before serving as past president in 2017. She is also a member of the Trademarks and Domain Name and Social Media Committee of the Intellectual Property Owners association.